In Lebanon 87% of the people live in urban areas and of its 4.2 million inhabitants there are about 1.5 million refugees. As a result, there are many tensions between the hosts and the newcomers. And thus, public space is not high on the political agenda – there are bigger issues according to politicians. 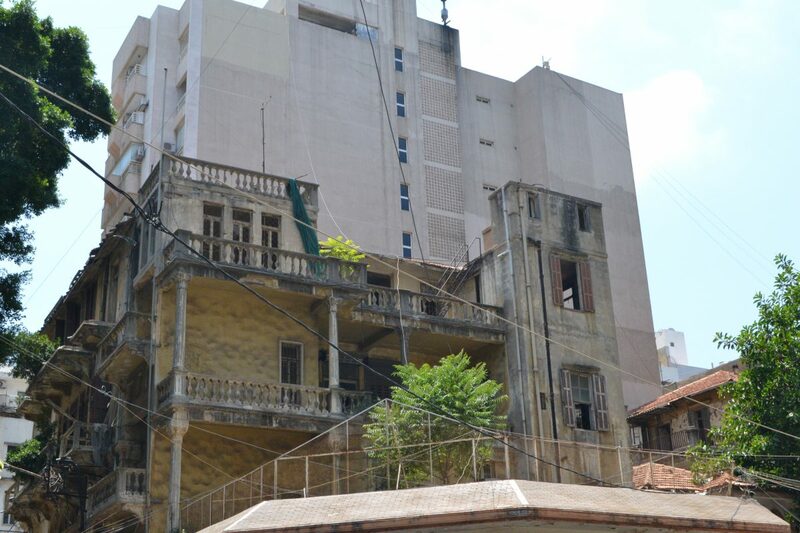 Beirut was once the Paris of the Middle East with Parisian buildings and green hillsides. But it turned into the city without a shore – the seafront is overtaken by luxurious apartment buildings and hotels. Nowadays Beirut has only 0.5% public space, compared to 12% in European cities. From the first moment, I set foot on Beiruti ground, until today Beirut brings extremely different faces and characters to mind. From worldly metropolitan areas like Hamra, with hip bars and crowds, to traditional and village-like Armenian neighborhood Bourj Hammoud, and everything in between. As a sociologist and facilitator of social movements I was very excited to find out there are many researchers, activists and civic society groups striving for the improvement and democratization of public space in Lebanon. 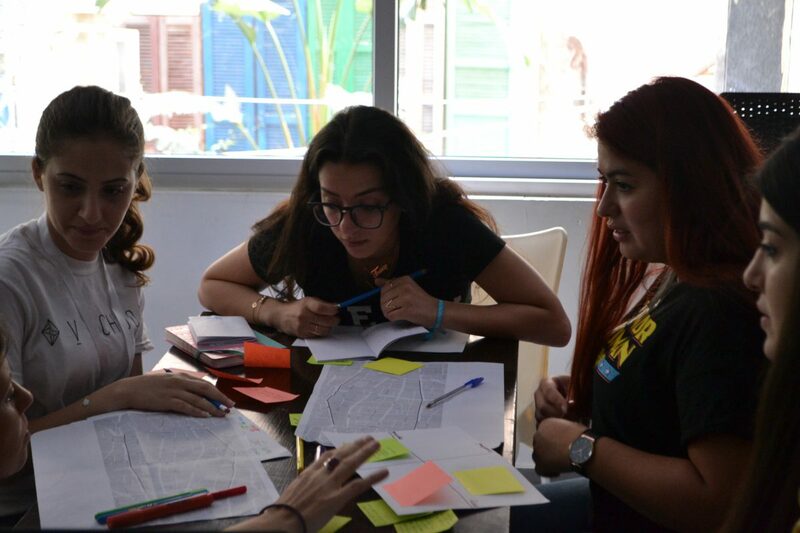 In the summer of 2017 ‘Community Lab’ took place in Beirut, a training program on participatory design and action, by Architects for Change (Lebanon), Youthnest (Greece) and Starters4Communities (The Netherlands). The collaboration was supported by Changemakersxchange, a platform for young social entrepreneurs by Ashoka and Robert Bosch Stiftung. We focused on activating young professionals and students to change their city by acting on urban challenges in Hamra neighborhood. The hands-on training program equipped participants with skills and tools to ideate and co-create concrete solutions and find new perspectives. 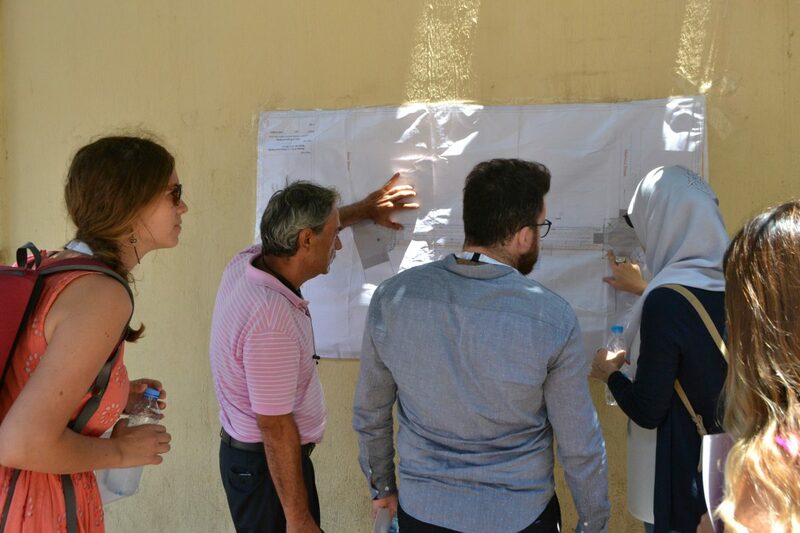 The training program attracted a mix of participants; architecture students, recent graduates and young professionals working on urban planning, architecture and participatory action. The diversity in participants and contributors made the experience very rich. For example, one of the participants was initiator of the Chain Effect, promoting cycling in Beirut. 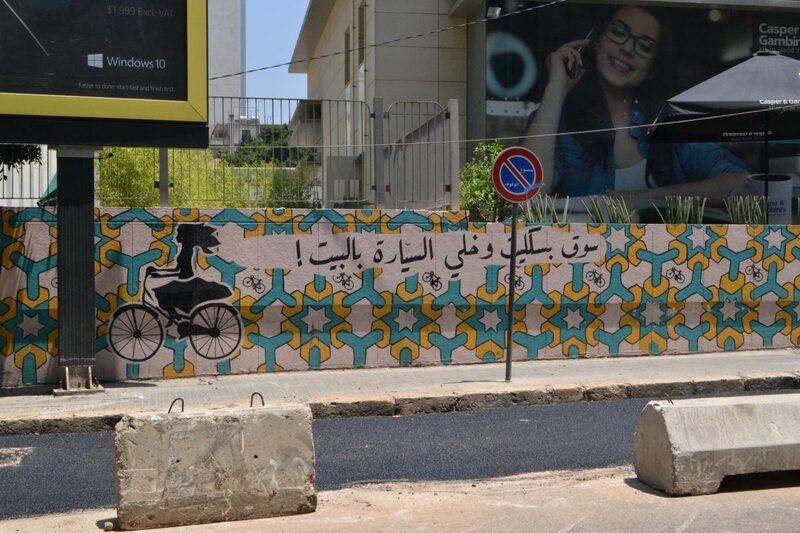 You can find mural paintings all over Beirut, promoting cycling guerrilla style. Also, as soon as we published the call for the training program there was many interest from Lebanese researchers and NGO’s working on urban challenges. Abir Saksouk and her colleagues from Public Works Studio came by to give guest lectures about their work: on participatory planning in refugee camps and Beirut Evictions, a platform to show forced evictions. 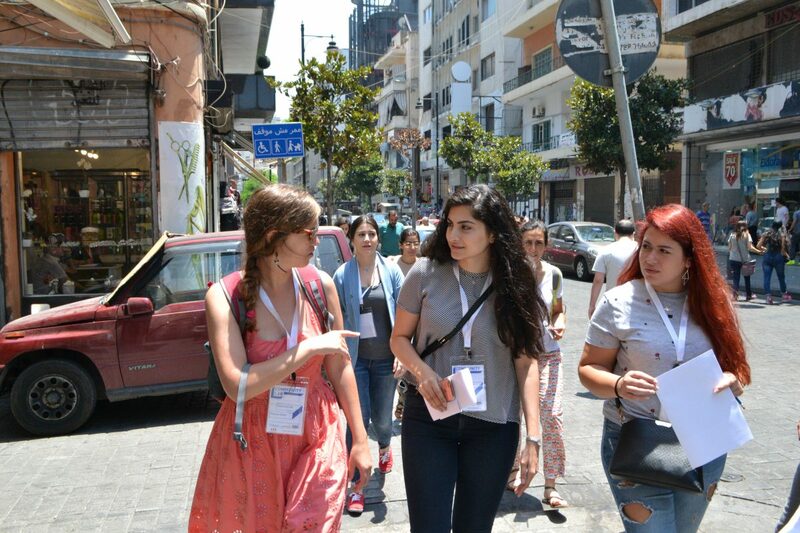 Moreover, architect and researcher Mona el Hallek gave us a tour in Hamra (see below). Due to the numerous sidewalk cafes and theatres, Hamra was the center of intellectual activity in Beirut during the 60s and 70s. 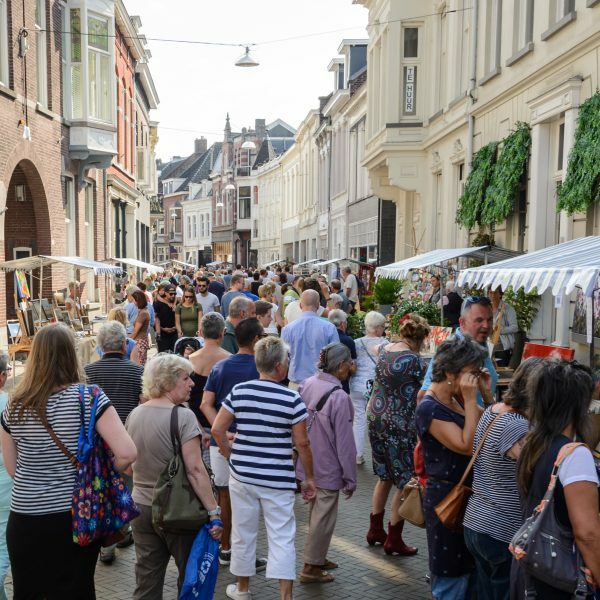 Today it is a mix of a residential and commercial area, vastly gentrifying with numerous universities, hotels, restaurants, and coffee shops, attracting a mix of residents, young people, tourists, and businesses. Our focus was teaching the participants participatory methods and tools for idea development. They worked on three challenges Hamra is facing: 1. the lack of public meeting spaces; 2. gentrification and preservation of cultural heritage; 3. improving soft mobility (pedestrians and cyclists). The teams did participatory research by conducting street interviews and making participatory maps. They came back enlightened, talking to people in the streets, touched by the stories. 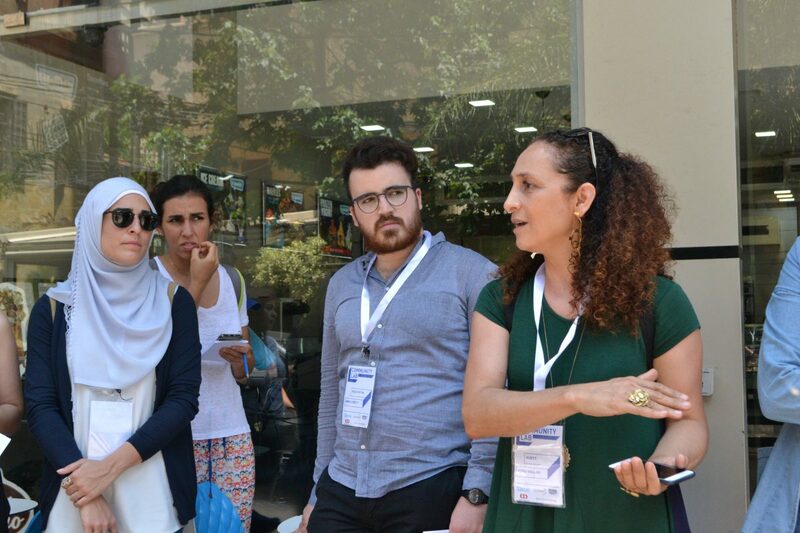 Part of the program was a tour in the area by Mona el Hallek, architect and activist and connected to the American University of Beirut (AUB), doing research on urban planning; preservation of cultural heritage, making public space more pedestrian friendly. She could explain us about specific buildings; some of them were bought by real estate owners and soon going to be demolished. She explains the gentrification is causing a lot of cultural heritage to disappear. Also, she showed us the success story of one street in Hamra where after years of lobbying a pedestrian friendly sidewalk is constructed, while we are visiting. Besides this we facilitated an ‘open space’ meeting; a dialogue table between different stakeholders to gain collective intelligence about the challenges. The team working on public space talked to many people in the streets and found out lack of meeting places is striking. So, they came up with the idea to install benches made from waste material in Hamra street. The team working on gentrification focused on the destruction of cultural heritage. They went into the streets with a big poster of two types of buildings a high rise new apartment and an original Beiruti building and asked about people’s preferences. They found out many people are not even aware of the fact there is so many heritage destroyed and what they can do about the loss of cultural heritage. Moreover, they came up with the idea to organize a festival inside one of the abandoned buildings on the list to be destroyed and invite the neighborhood to raise awareness about the cause. The team working on improving soft mobility collected ideas from taxi drivers and car owners about parking. Nowadays it’s hard to walk on Beirut’s sideways because of illegal parking. They focused on making sidewalks available for pedestrians by placing objects and making the sidewalks larger. At the end of program, the ideas were presented during a public event and connect the local network organizations, working on similar issues. The implementation of the ideas happened afterwards with the support of Architects for Change. Architects for Change, as a local organization, could put the three teams in contact with their network and the organizations who contributed to the training program. In addition, the team who worked on public spaces, could contribute to ‘Is this a Public Bench?’ intervention by Architects for Change, as an implementation to their idea. 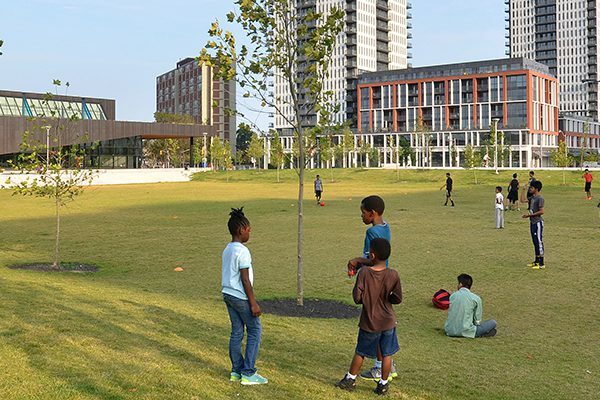 The project will continue during 2018, with a goal to install 5 benches in public space. The team who worked on gentrification came up with the Heritage Festival, which is a project that will be incubated during 2018. 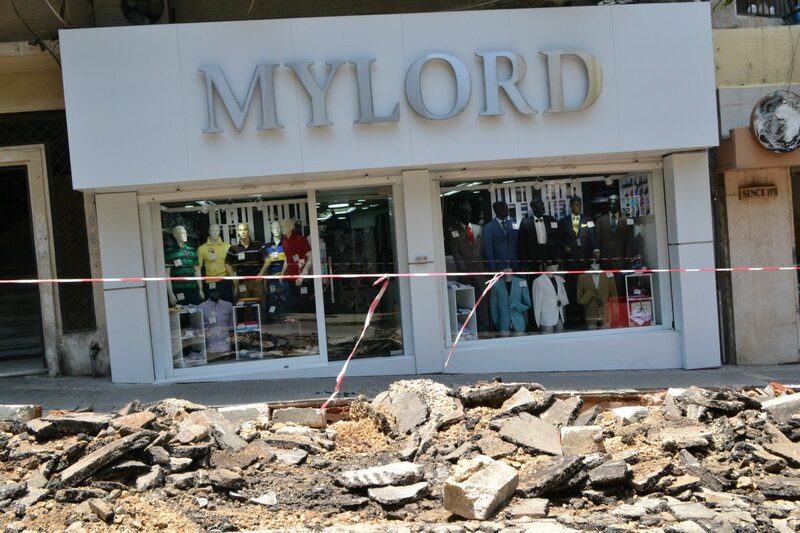 As we have seen, there is much (more) attention needed for the cause of public space in Lebanon. Luckily there are many social networks and a broad civil society to support placemaking initiatives. Let’s support each other in growing these networks, facilitating initiatives and making Lebanese cities more livable.